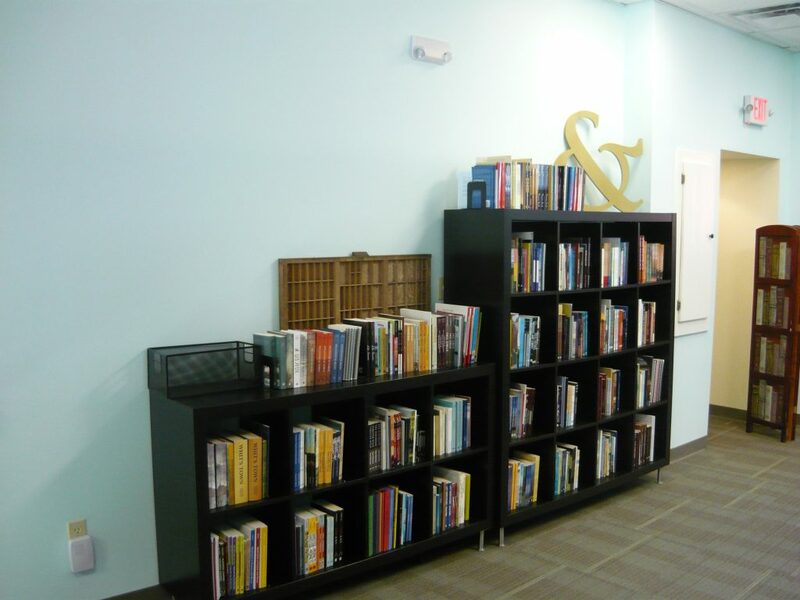 Welcome to The Troy Book Makers! Our aim is to produce attractive, well-designed books at a low cost to the customer. The only business of its kind in the Berkshires and the Greater Capital District, this short-run printing and full-service graphic design company was founded by longtime friends and independent booksellers Eric Wilska, of The Bookloft in Great Barrington, MA, and Susan Novotny, of The Book House of Stuyvesant Plaza in Albany, NY, and Market Block Books here in Troy. The process couldn’t be simpler. We work closely with you to create a beautiful, custom-made book in as few as six weeks. You give us your book’s digital content, and we design, format, print and bind your book using the newest technology. Our short-run print services allow us to print as few as ten copies of your book, in comparison to traditional print runs that can number in the thousands (and often end up being stored in the garage for years [though we can help you with those too!]). We also keep the formatted book in our digital archives, making reprinting simple as the demand for your book increases. We hope you’ll consider working with us. Our collective half century of experience in the book business, combined with our knowledgeable staff members and publishing contacts, provide a unique wealth of resources at an affordable price. Still have questions? Feel free to call us at 518-689-1083, send us an email, or, if you’re in the area, set up a time to come see us! 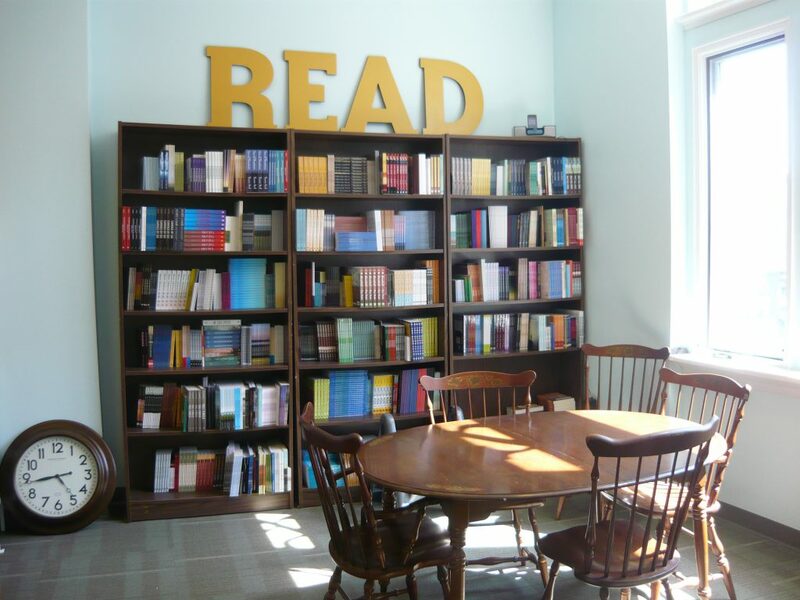 We’re located across the street from Market Block Books at 291 River Street (Suite 180 – second floor, at the top of the ramp), Troy, NY 12180. 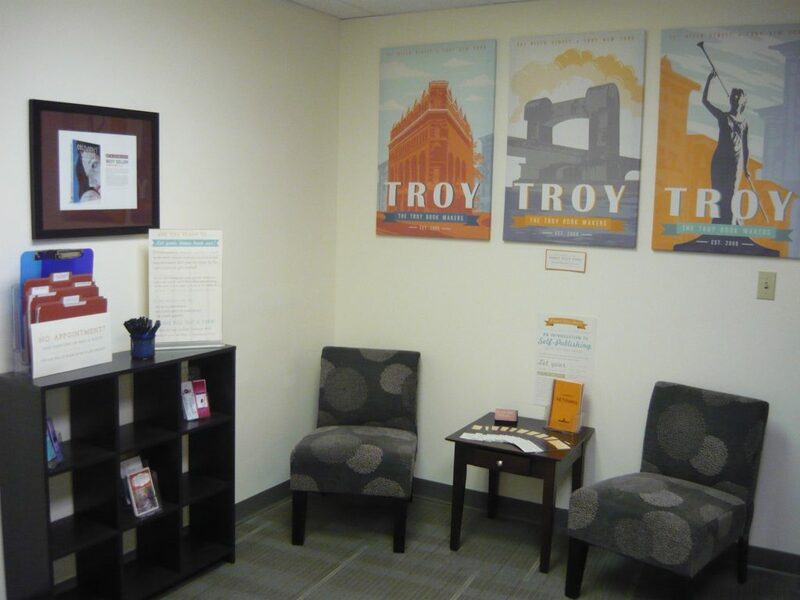 Our little lobby space, with Troy themed art by our staff. 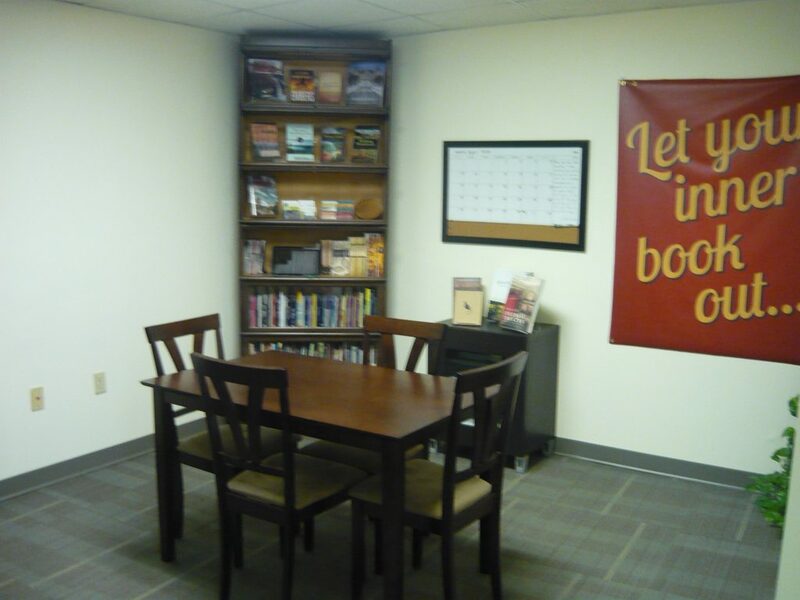 Our cute meeting space, where clients come to talk about their projects. Our online sales inventory and staff meeting table.